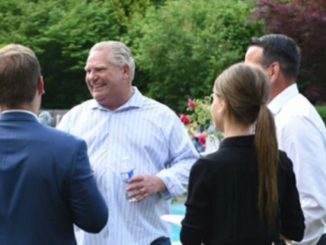 Based on the reaction of some to the buck-a-beer announcement, you would think that Ontario Premier Doug Ford was grabbing clutches of cash from poor people and giving it to fat cat brewery executives over a Scotch and cigar in some backroom. In fact as Ford promised me on the radio on Monday morning, there was no subsidy involved in this at all. What Ford has done is lower the floor price for a bottle of beer from $1.25 to $1. The idea of 24 beers for $24 was incredibly popular in Ontario before former Liberal Premier Dalton McGuinty upped the price at the behest of Labatt and Molson. The beer giants had been losing market share and didn’t like it. Just like they use their beer store monopoly to give prime product placement for their beer products over craft beer, they didn’t want little players taking away their profits. 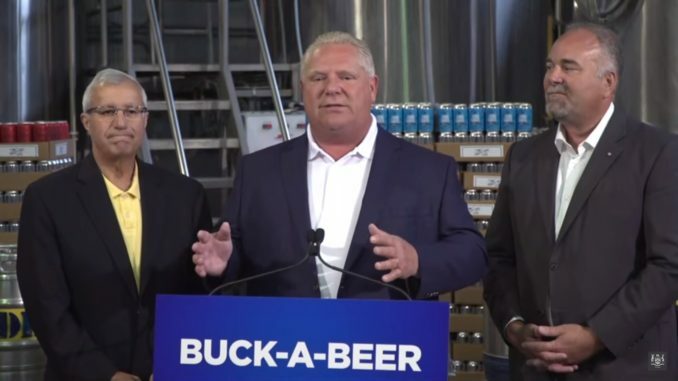 So Ford is allowing beer to be sold for $1 again and to encourage this he is offering what he calls “non-financial” incentives for brewers that take up the challenge. Even that has lefties screaming bloody murder over the move. According to one Queen’s Park denizen, this move could cost $50,000. Why? Because brewers that offer beer on sale at the LCBO could get prime shelf space or a mention in flyers. It is also standard business practice between retailers and suppliers. Actual subsidies were given by Wynne. Of course I don’t recall any outrage when actual tax dollars were given to Steam Whistle or Beau’s to pay for the expansion of private business. But a government store profile a product on sale without charging extra for that product……unthinkable. 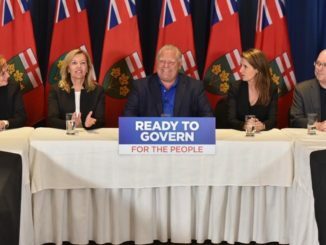 The real reason people are against this is that these people will oppose everything Doug Ford does. Plain and simple. 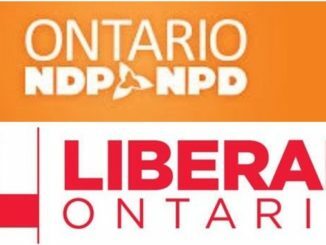 If they cared about corporate welfare, they would have protested the direct subsidies of two of Ontario’s most successful craft brewers. Nor are they protesting that craft brewers, who normally charge $3 and up for a tall boy can pay a tax rate that is less than half of the big guys. Right now a big brewer like Molson or Labatt pay a basic beer tax at a rate of 88.33 cents per litre for beer sold in bottles or cans. Craft brewers pay a tax of 38.34 cents per litre. Why are Ford’s critics silent on this? They hate buck-a-beer and call it a subsidy but say nothing of this. Also, if you look at the chart, the tax on beer went up every year from 2010 on, the Liberals – federal and provincial – are against cheap beer. I jokingly tweeted the other day that the only people against cheap beer are snobs and commies. The comment outraged a lot of snobs and commies. I had people tweeting at me that they wanted to pay more for goods and in taxes to get more services. They also tweeted at me that they hated cheap beer and wanted craft. Today CBC summed it up in their hate all screed against buck-a-beer when they quoted The People’s Pint, a brewery that actually uses graphics that allude to communist Russia. Nothing like communist imagery to show that you are legit! Look, you want to make or drink craft beer, go for it. If you want to make or drink buck-a-beer, go for it. I’m not a beer snob at all and wrote my first piece on this while drinking a Kichesippi 1855 . It’s damn good beer and I recommend it. But that beer isn’t for everyone and not everyone can afford it. Doug Ford promised he would allow this in the election campaign and now he has delivered. If I had my way the entire system would be overhauled, made simpler, easier for brewers and easier and cheaper for consumers. But this government is weeks old so for now I’ll take a politician keeping a campaign promise that helps consumers and doesn’t cost the taxpayer.